Winter Coat Drive Benefiting Women Giving Back | Veterans Management Services, Inc.
With the cold weather already setting in, VMSI is proud to lend its support to the charitable efforts of Women Giving Back (WGB) with a winter clothing drive! VMSI employees will be collecting winter clothing for women and children, specifically coats, throughout the months of October and November, in addition to spreading the word about this fantastic organization! Women Giving Back is a Washington DC Metropolitan area-based organization that provides free clothing to women and children living in shelters throughout Loudoun and Fairfax Counties. 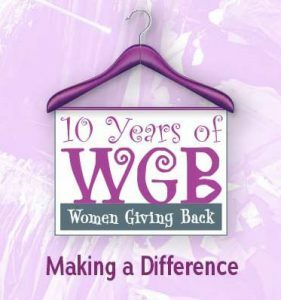 WGB has a widespread impact on our community and we are proud to assist with donations of winter clothing and to also volunteer at the WGB storefront and warehouse to help sort and hang clothing donated by individuals and local businesses. For more information on this unique organization, please go to https://womengivingback.org/.